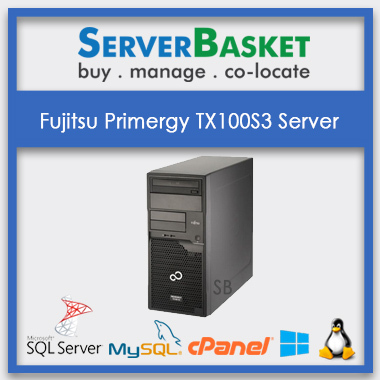 Get best Fujitsu Primergy servers from Server Basket website at lowest price guarantee. We offer you flexible and scalable rack RX and tower TX models with improved performance and extended scalability to your branch offices and SMEs. Avail free installation support and warranty at affordable prices only on Server Basket. Why late? Order immediately. We offer you highly reliable, scalable and flexible Fujitsu Rack and Tower servers at lowest prices to satisfy any business role in today’s IT market. We have Primergy RX100 S8 Rack server, TX1310 M1, TX100S3 and TX2540 MI 4U towers servers with robust performance for your SMEs and remote offices within your limited budget. Highly scalable with 384GB DDR4 memory supporting up to 4 3.5” storage drives up to 40 TB max along with 4 PCIe Gen3 slots. Both rack and tower Servers from Fujitsu have Compact form factors and internal designing to support your enterprise’s environments of any size. Primergy servers are single socket and dual socket rack and towers servers for high-end usability and scalability to ensure improved efficiency to your business workloads. Primergy RX100 series are compact design occupying less office space whereas the TX series is the tower built with the hard-strong body. Choose the best model discussing with your technical team. Primergy servers are fitted with advanced heat management or cooling technology to achieve high performance with superior energy saving with efficient components. Latest advanced Cool Central Liquid cooling technology with Fujitsu servers helps to cope up power challenges along with reduction in operation data center costs and thereby ensuring business productivity with low investment. We offer free installation support to all Fujitsu servers purchased on our website. We assist you with installation and administration support at free of cost ensuring cost saving servers to improve your business efficiency. Our certified technical support team will support you with server setup, which is done in a few minutes to reduce downtime. 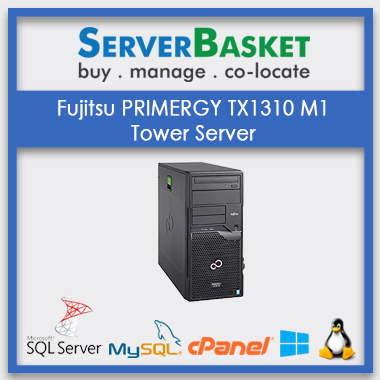 We promise to offer Fujitsu servers both rack and tower models at cheapest prices. All advanced capabilities are fitted in a single model to improve your reliable and scalable options in a budget-friendly manner for all your start-ups and SMEs. 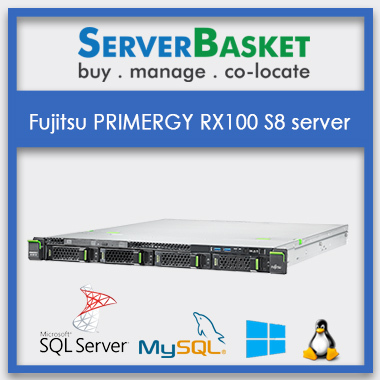 Our Fujitsu Primergy servers are robust with rock solid performance and reliability at affordable prices. 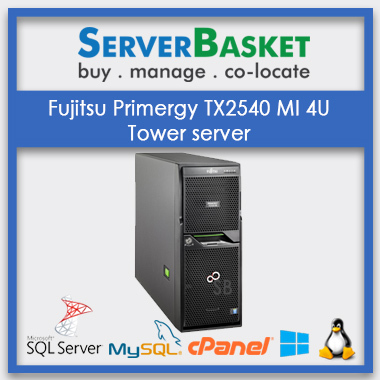 We at Server Basket provide you with an instant quote proposal for any required Fujitsu servers model. As soon as you confirm your order and process to buy out option, we offer you total pricing quotation in a transparent manner with no hidden or extra costs. Our sales team will respond to you immediately with any details regarding quotation and discount offers. Excellent premium warranty services to all primary servers on Server Basket during the warranty period. We offer support services through telephone or remote access 24/7 round the clock. Enhanced services are added along with essential services to offer standard warranty service at schedule period with the help of the technical professional. Usually warranty period will be 1-3 years based on your server configurations.